The spring alewife runs were a boon this year after reconstructed fishways in some places and, in other places, more volunteers helping the fish to swim upstream into ponds to spawn. 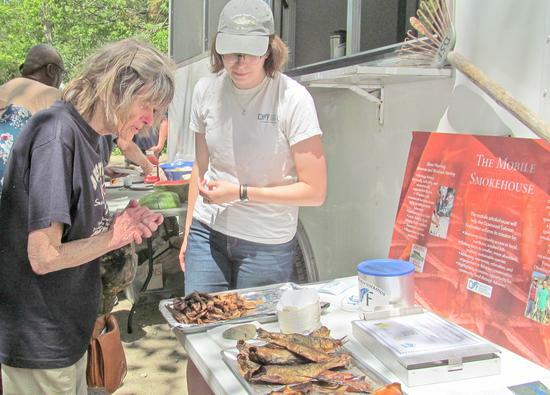 A June 2 celebration at Pierce Pond in Penobscot celebrated the new fishway there and at Wight’s Pond, plus offered tours of Walker and Parker ponds in Brooksville. Smoked alewives were part of the refreshments. 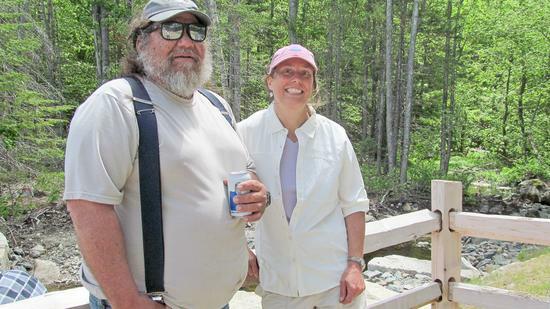 Bailey Bowden, chairman of the Penobscot Town Alewife Committee, and Maine Coast Heritage Trust Senior Project Manager Ciona Ulbrich enjoy the culmination of several years’ work. 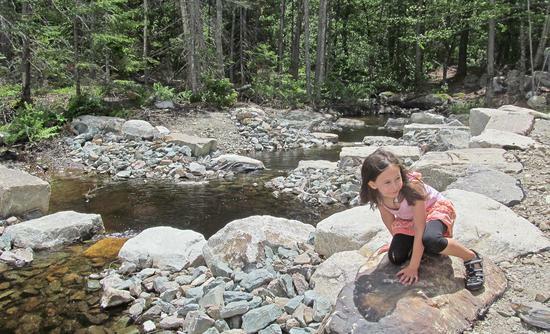 Watching for alewives at Peirce Pond on June 1.